This is your opportunity to acquire your own slice of heaven! 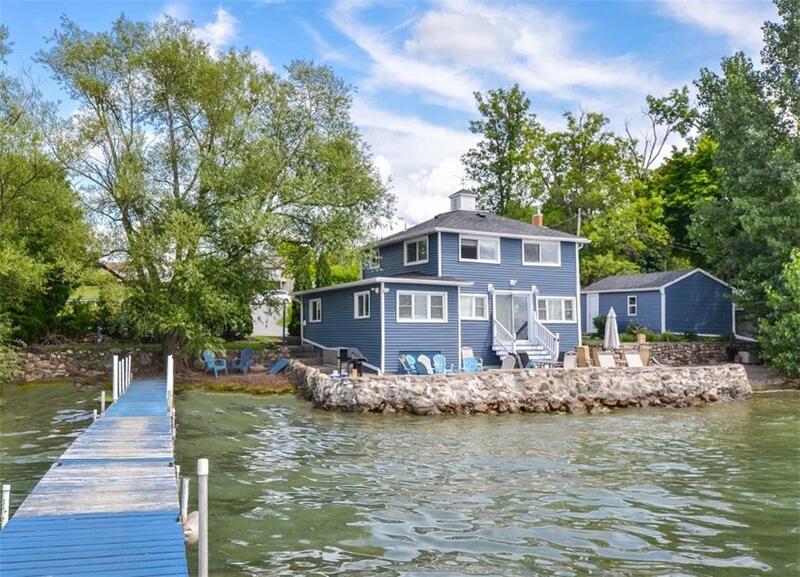 Located at the water's edge of Canandaigua Lake, this home offers so any beautiful amenities and updates. Completely updated exterior with detached 1 car garage. Large living room with stone fireplace, window seat with storage and additional space for game table or additional seating. The dining room is right off the updated kitchen w/glass front cabinets and plenty of counter top space. The 3 large bedrooms offer plenty of sleeping space! Have family and friends over to enjoy the lake life with you! 2 full bathrooms have also been updated. A stone patio on the water's edge for seating is fantastic for outdoor entertaining. Walk right in to the beautiful, gradual pebble beach! See today or it's gone! Directions To Property: Take 364 South Just Past Deep Run Park, Turn Onto Deep Run Cove. First Home On The Right. Courtesy of Finger Lakes Premier Prop.